The community’s station for many years, NewsTalk 1350 is Cleveland and Northeast Georgia! WRWH has been on the air since 1958 with a very loyal audience. 1350 listeners tune in for community announcements, local news, sports and entertaining shows. 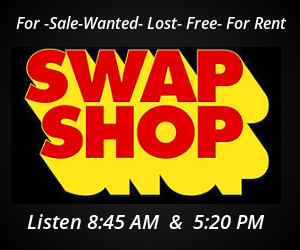 They still like bargains, as indicated by our Swap Shop response. When not airing news/talk, we play oldies from the 50’s, 60’s, 70’s and some 80’s in morning drive time and evenings. We also proudly air a one-hour Gospel music program mid-mornings! Weekends include locally and nationally produced programs, gospel music, and local church services. WRWH is proud to be the Flagship Station for White County High, winning a 2013 Gabby Award for Best Sports Play-by-Play in Georgia. Plus, the station is a member of the UGA Bulldog Radio Network from IMG. The advertising opportunities on WRWH are endless. Many businesses choose to sponsor individual programs… others have spot announcements placed at various times of the day. The economic rate offered for both of these and other options make Local Radio your best advertising buy. 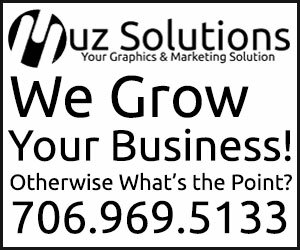 For information about how WRWH can help promote your business, use the form below or call 706-865-3181.